Adventures in time, space and public houses. The multi dimensional adventures of Jib Longwilly and Swanky Morris, Jabberlique and Smiggleb Banjax, as they attempt to set things right in all dimensions. Along with other tales from the “Stand Up Chameleon” an Inn in the small town of Nexus that stands at the insection of all the worlds. 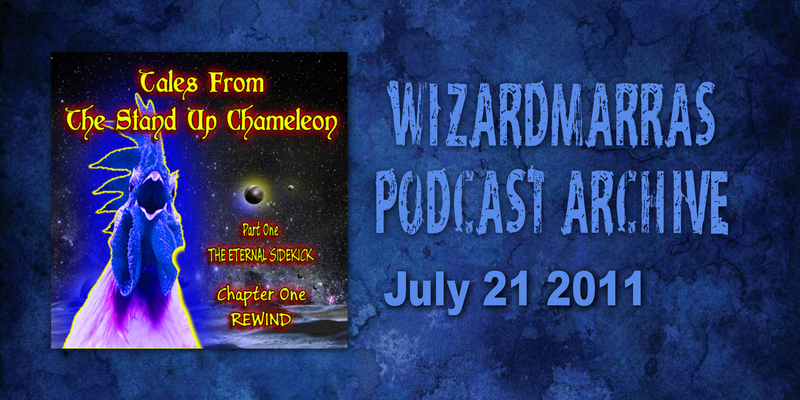 The first chapter read by Wizardmarra with background music “Fantasia on a theme by Thomas Tallis” by Ralph Vaughan Williams. In which all worlds are created, and we meet some of our protagonists (The Young) Jib Longwilly, the yet to become an undead Morris Dancer Swanky Maurice (not yet Morris that comes later) and The Owd Talespaker Gruntlephart. Please Note: This was an experimental pilot episide for a podcast that didn’t go any further than this. It is not a part of the ongoing ‘Wireless Show’ series. But if you like it, please say so in the comments and perhaps elements of it will be worked into future episodes of “The Wizardmarra’s Wireless Show” podcast. This entry was posted in Stories & Storytelling, The Wizardmarra's Wireless Show Podcasts and tagged Bands, Best New Musicians, Great Music, Music Videos, Musicians & Artists, Podcasts, Unsigned Artists, YouTube Clips & Uploads by Alan Whittaker. Bookmark the permalink.